Keep it simple! Turnado comes with 8 knobs, each firing up an effect and varying it with their dial. It invites play and experimentation with one or several effects. 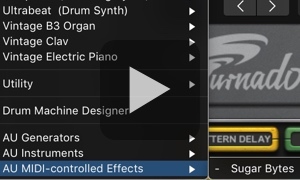 Customize 24 effects in expert mode. 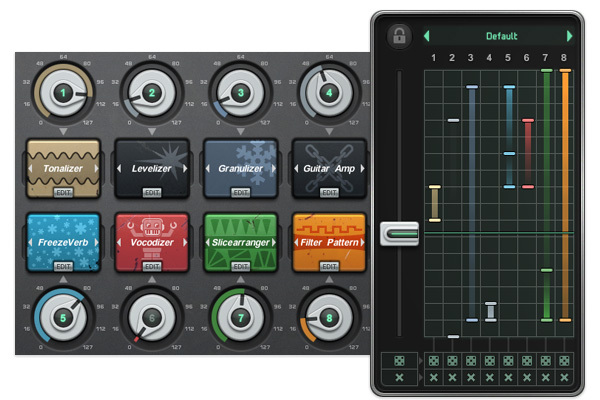 If you want it even more compact: in Dictator Mode, you can control all 8 effects simultaneously with a single fader. 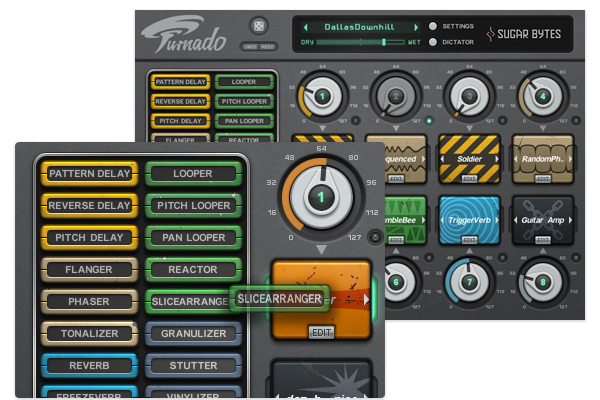 Describing Turnado as a multi-effects processor perhaps doesn't capture the essence of what it's about. 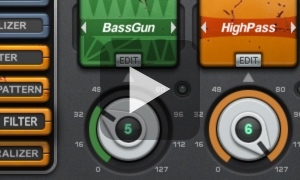 You can use reverb and delay in a subtle way - but what makes it very different from a conventional multi-effects unit is the combination of effects types available and its real-time control options. The GUI is clutter free with bright and clean graphics. Open it up, and you'll instantly understand the concept. Turnado is rock solid and light on CPU, if you plan to use it in a live performance or, say, in a dozen instances simultaneously. 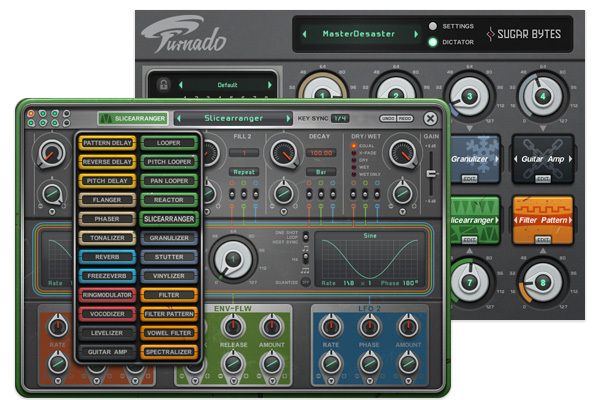 As a plug-in in the studio or on stage, Turnado will prove as a surprisingly versatile tool while its operation is cast into a bare minimum of controls. 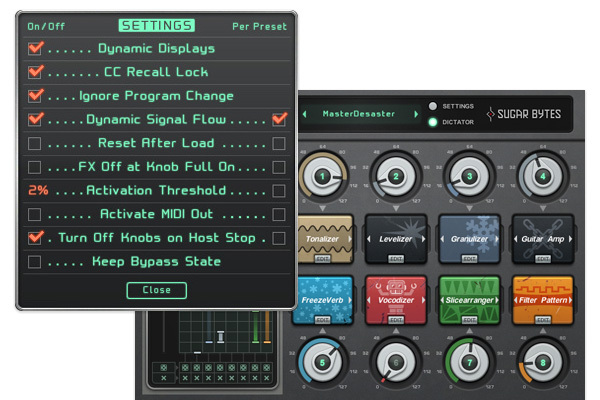 If you’re not an octopus, the "Dictator" is probably a feature of interest: this fader provides a unique way of controlling multiple knobs with just one slide. Here you can set up for each knob, when and how much to be rotated. 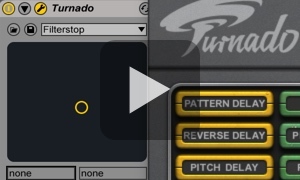 Of course you can automate all controls in Turnado. 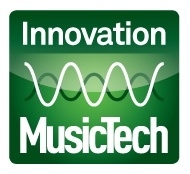 Or, if you’re looking for a more natural approach, remote-control them via MIDI. 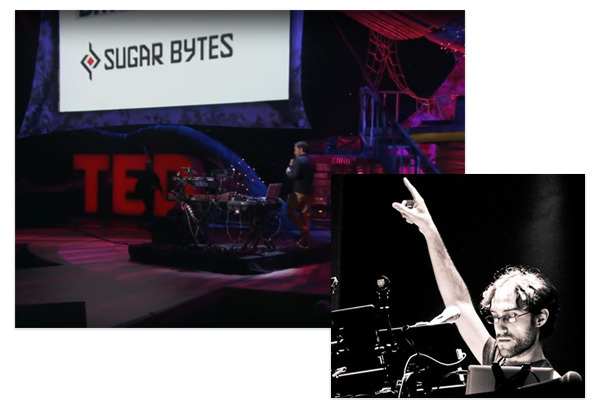 What Beardyman dreamt about doing couldn’t be done: Technology simply couldn’t keep up with his demands. To pull off his sets the way he wanted, he spent six years and $30,000 building a complex live setup: Beardytron 5000 mkII. When you open up one of the effects’ edit panels, you quickly begin to realise how powerful Turnado really is. With the ability to tweak five different parameters, the degree of control available is staggering. Each of these five knobs can be tied to the main-screen knob, which is what gives them the magic! 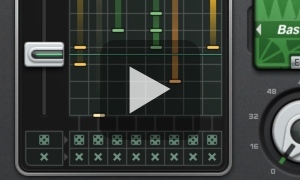 If you want some hands-off automation as well, each slot has two LFOs/step sequencers and an envelope follower that can be used to modulate. These can be assigned to any effect parameter. There are two options when it comes to routing the signal through the effects: going through each in series (from bank 1-8) or Dynamic Signal Flow mode, where it follows the order in which each effect is activated. Setting up the order of effects is an art in itself – and the ability to swap effects by dragging one onto another allows you to quickly audition how a different order can have a drastic effect on the overall sound. This can also be handy if, for example, you always want a reverb to come last in a chain regardless of when it's active. Some of these go deep. 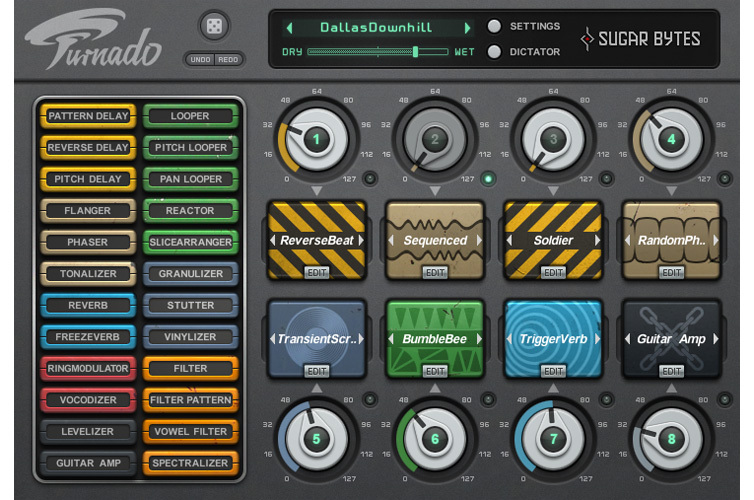 With instant access to eight effects and immediate control over key parameters, Turnado is guaranteed to cause devastation on the dance floor, shredding beats and crunking breaks to insane proportions.